Developers have to repay about Rs 1.29 trillion a year on outstanding debt but generate less than half the amount in income that can be used for repayments, according to an analysis of about 11,000 companies by research firm Liases Foras. Rolling over loans and tapping private-equity funds will be a struggle for all but the established names, like Oberoi Realty Ltd. and Godrej Properties Ltd., said Niraj Rathi, an analyst at India Ratings and Research. This drying up of liquidity comes on top of years of sluggish home sales, mounting inventories and falling prices. The difficulties were masked over as non-banks lenders rapidly increased exposure to developer loans not protected by rental revenues in recent years, according to Jefferies Group LLC. They accounted for more than a third of lending to the sector last financial year. Now there’s a risk of a vicious cycle developing between struggling lenders and distressed builders. Already real-estate and allied businesses account for the largest number of cases referred to India’s two-year-old bankruptcy process after a 2016 crackdown on cash, tightened regulations and a new tax damped sentiment. 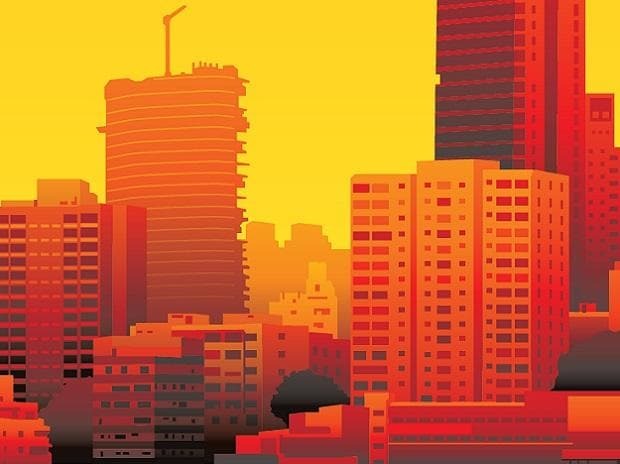 The metropolitan areas around national capital Delhi and financial capital Mumbai have been the hardest hit.Developers in the north have been jailed and home prices in the Mumbai dropped in 2018 for a second year. The high-priced pockets of Mumbai are “the epicenter of all problems,” Nirmal Jain, chairman of IIFL Holdings Ltd. said in an interview. Builders may lose a significant part of their equity and some lenders will need haircuts, said Jain, whose company has real-estate exposure of 10 percent of its assets. More defaults will come from the north and west, with fewer likely from the south, said Kumaran Chandrasekaran, a credit fund manager at Sundaram Alternate Assets Ltd. About 10 percent of outstanding loans probably won’t be repaid and 10-15 percent will face delays, he said. For shadow banks, defaults would raise the risk of a repeat of last year’s funding freeze after investor confidence was rocked by a series of missed payments by a large non-banking financial company, Infrastructure Leasing & Financial Services Ltd. Developers accounted for 10.7 percent of advances made by non-banks and housing finance companies as of March 2018, compared with 4.4 percent for banks, according to Jefferies. India Ratings, the local unit of Fitch Ratings, has a negative outlook on NBFCs focused on the wholesale lending, large-ticket housing and loans against property. Builders such as DLF Ltd. and Indiabulls Real Estate Ltd. have responded by selling rent-yielding office assets and land parcels as well as entering development agreements with private equity players. Lodha Developers Ltd. shifted focus to affordable housing, where demand remains strong. The sector got a reprieve over the weekend when India reduced the sales tax on unfinished residential buildings and affordable houses from April 1. The cuts are likely to cover 90-95 percent of homes in smaller towns and about a third of projects in big cities. The sector averted crisis in 2008-2009 as there was no supply overhang, according to Pankaj Kapoor, managing director at Liases Foras, which estimates it would now take more than three years to clear inventories in the top eight cities.